In 50 Kgs. HDPE bag with HMHDP liner. 0.0003% max. 3 ppm. max. 0.001% max. 10 ppm. max. 0.005% Max. as HCl OR Ca(OH)2. Our group was a manufacturer of Heat-treatment Salts, manufacturing under Die-Hard brand name. We are totally equipped to offer the best grade of CaCl2 . A Brine may be defined as liquid of low freezing point used in transmission of refrigeration without change of state. The brines commonly employed in refrigeration are Calcium Chloride CaCl2 and Sodium Chloride. Sodium Chloride is cheaper but cannot be used below minus 150C. CaCl2 of commercial grade can operate satisfactorily upto minus 400C. Use of CaCl2 above 33% should be avoided as it results in crystallization resulting in reduced efficiency. The CaCl2 selected should be adjusted to pH of around 8 and it should be free from free-acid and dirt. Coloured material should not be used as it results in corrosion and scaling of the tubes. For the same reason by-product CaCl2 is not desirable as it contains Organic Chlorides which may break into Hydrogen Chloride. 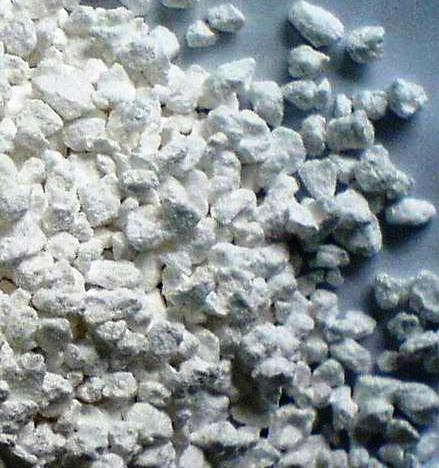 WHITE, CRYSTALLINE POWDER OR FRAGMENTS OR GRANULES; ODOURLESS; HYGROSCOPIC. FREELY SOLUBLE IN WATER AND IN ETHANOL (95%). CONTENT NOT LESS THAN 97.0% AND NOT MORE THAN THE EQUIVALENT OF 103.0 OF CaCl2.2H2O. A 10% W/W SOLUTION GIVES THE REACTIONS OF CALCIUM SALTS AND OF CHLORIDES. A 10% w/w SOLUTION IS CLEAR & COLOURLESS. TO 10 ML OF A FRESHLY PREPARED 10% w/w SOLUTION ADD 2 DROPS OF PHENOLPHTHALEIN SOLUTION. TITRATE IT WITH 0.01N HYDROCHLORIC ACID OR 0.01N SODIUM HYDROXIDE; NOT MORE THAN 0.2 ML IS REQUIRED. NOT MORE THAN 3 PARTS PER MILLION. NOT MORE THAN 20 PARTS PER MILLION. NOT MORE THAN 10 PARTS PER MILLION. NOT MORE THAN 300 PARTS PER MILLION. As an ingredient, it is listed as a permitted food additive in the European Union for use as a sequestrant and firming agent with the E number E509. The anhydrous form has been approved by the FDA as a packaging aid to ensure dryness (CPG 7117.02). It is commonly used as an Electrolyte and has an extremely salty taste, as found in sports drinks and other beverages such as Smartwater and Nestle bottled water. It can also be used as a preservative to maintain firmness in canned vegetables or in higher concentrations in pickles to give a salty taste while not increasing the food's sodium content. It is also used in brewing beers. It is also used in making cheese. It improves curd size and texture when using store bought milk. One teaspoon of 30% solution will treat 2 gallons of milk, adding rennet to the cheese mixture.